I'm finally free from school, which means no tests, no homework, and no waking up at 6 am. Yippie! I believe all of us (as final year students) feel super excited and scared as well. Especially when we realize that another chapter of life is waiting for us. Admit it. High school may be soooo annoying. Attending school in the early morning, studying overnight, listening to boring lessons. Oh well, but when it comes to an end, we'll miss it. I think i should stop talking about it before i burst into tears again. So these pics were taken in December 2014 and i almost forget to post it. I'm wearing a one set crop top and skirt that i sewed by myself! It was a request from my best friend to wear mint blue outfit on her birthday (as these pics were taken on her birthday). Pearls, i think it suit with my soft, pastel outfit. And one thing i would never forget to wear on any occasion: hats! So that's it, see y'all on my next post. Keep following my updates simply by following my instagram. omg you sew it yourself? its so adorable! what a cute dress! thanks for visiting my blog! 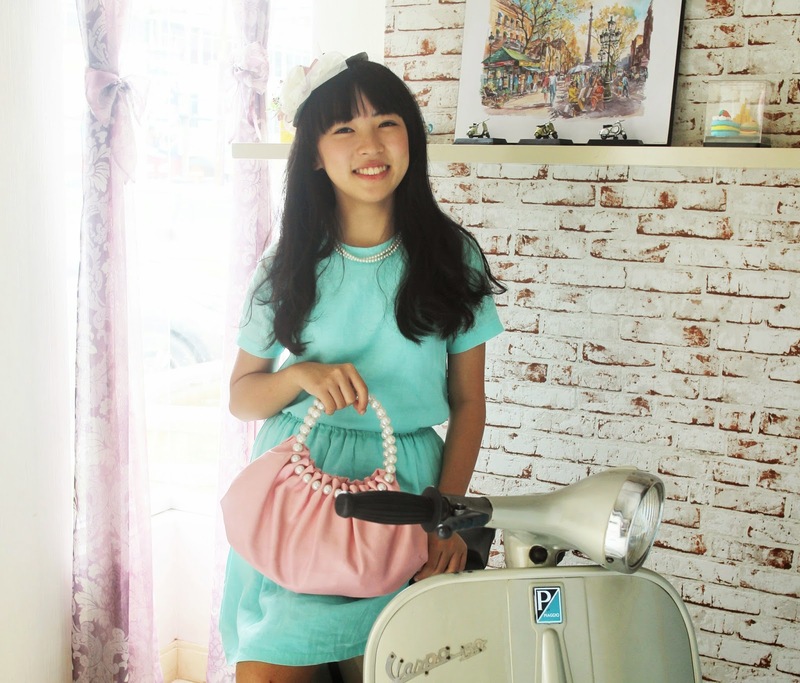 super cute <3 nice blog, dear!